Models UK & Ibiza - FUR! FUR! FUR! Blog / FUR! FUR! FUR! At the moment we are seeing fur, fur and more fur in all the shops. 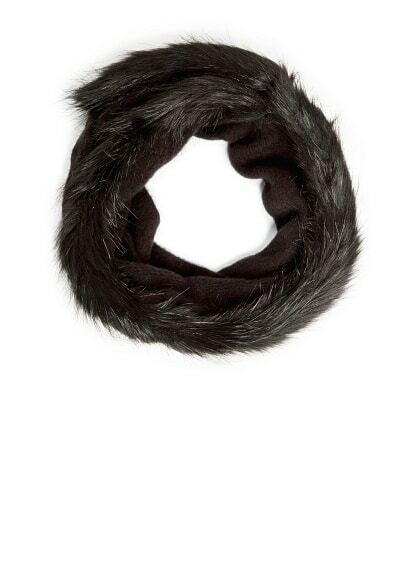 As someone who loves to wear fur (not real I must state), I am constantly finding things I want to buy! This fur snood will keep you warm and cosy and with the added two texture thing going on, if you are not keen on the full on fur look, then this would be perfect for you. Missguided always keep on top of new trends and at the moment they have a lot of fur! This turquoise coat will keep you warm as you guessed it, it has fur! A fur collar no doubt so you won’t even need a scarf. Also another pic from Missguided is this monochrome (also a trend for a/w!) furry cardigan which would be perfect to wear now with a simple black vest or tee. You can tell how much we love black and white but this cardigan looks too comfy not to feature. Comfy and stylish at the same time, we love! This is way on top of our wish list! In store at the moment (we’ve seen it!) is this super soft (we’ve felt it too) is this fur mix sweater from Topshop. Super duper cosy looking and the contrast sleeves set it off so well. Another fur mix sweat is this one with the back and the sleeves all black and a fur front. Let us know which piece you liked best!